Wolf figures should need no introduction, as most, if not all will already be aware of their excellent Hornet and Wolf Head Sets. 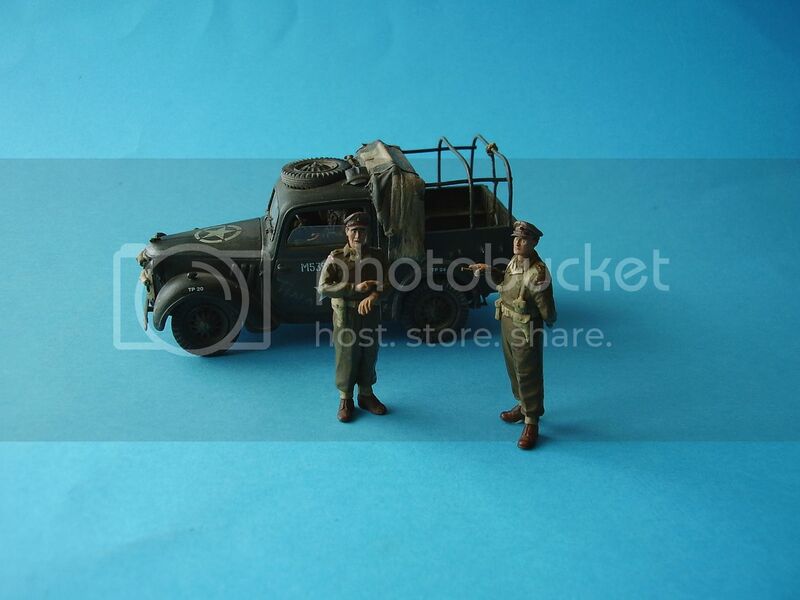 Wolf do have an excellent range of figures and I recently purchased another in the form of a Belgium Tank Officer 1940. The Chassurs Ardennais were an elite Belgium Army unit who performed extremely well against the invading German Army during 1940. They were equipped with T13 and T 15 tanks and also the Vickers Utility Tractor. So let have a look at the item. Packaged in the standard Wolf presentation box the figure comes packed inside a small strong plastic bag for protection. On the box front is the manufacturers details and a colour picture of the completed figure to aid painting. On the reverse of the box come some basic instructions and a warning these products are not recommended for children under 14, so I should be OK there. Also included in the box is a small two sided instruction guide about checking and building the figure which contains advice on working with resin. On the reverse is a suggested painting guide to aid modellers. The figure is cast as a whole in a light grey resin, with only the head as a separate item to add. The casting looks excellent, one of the most pleasing I have seen. With only the pour stubs to remove and a small seam down the right hand side you can get to the fun part pretty much straight away. Dressed in a leather coat and riding style trousers with leather boots, the figure looks very much the cavalry officer type. The leather jacket has breast pockets and is beautifully done. Over the jacket the figure wears a leather belt, ammo pouch and pistol holster. Slung over the right shoulder by a leather strap is a map case. Under the leather coat the figure wears a shirt and tie. The head, a separate item, is terrifically done as one would expect from Wolf. The officer wears a tankers beret to round off the uniform. Posed in a standing position, with the left hand in the jacket pocket and the left leg slightly forward, this is a super figure. Detail on the jacket and clothing is excellent. Nice folds and creases exist and unit insignia is shown on the turned up jacket collar and beret. Coming in at about 41mm from heel to shoulder the figure is a nice acceptable height and overall the body proportions look excellent. It is hard to describe the beauty of this figure, the sculpting is excellent, the body proportions look spot on and the overall detail is excellent. With the arrival of more early war armour, this one should be of interest to both figure painters and diorama builders alike. It occurred to me looking at the order of dress that you might well be able to use him as an early Irish Army Soldier of the Free State formed in 1922 after the War of Independence with Britain, perhaps even pre that date? I've included some WIP pictures of the built figure below. Highs: Beautifully sculpted with excellent detail. Here is a picture of officers May 20, 1940 There is a choice Normally, leather boots are not staffing be are frequently personal purchases For variations in color of the uniforms, see the model and civil making.